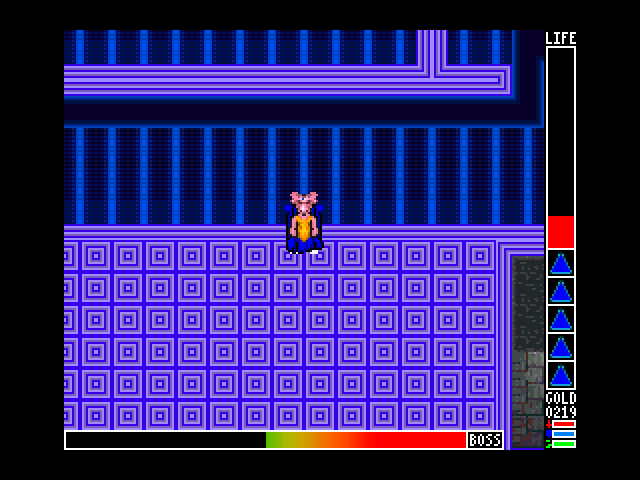 I decided to take another extended break away from programming to revive an old RPG Maker 2003 project I originally started in October 2008: Superstar Hero. The game originally used music from TIMGUL, including some of my songs, but it now only uses my songs, including a newer one. The game used RPG Maker 2003, which was a not-so-legal fan translation available at the time, but an official one came out in 2015 on Steam, fixing many bugs, so this is what the game uses, now. I do not use the built-in battle system, I instead use a combination of events, as the game is action-based, like Ys and Zelda series, unlike other RPG Maker 2003 games, which are turn-based like Final Fantasy on the Super Nintendo. You don't level up as you kill enemies, you instead buy upgrades at a shop with the gold you receive. The game focuses heavily on killing stuff rather than exploring, due to some arcade influences. As for why I used RPG Maker, it's because of my extended break from programming and the fact this project was started with it. As for why I use 2003 instead of VX Ace or MV, well, I prefer the SNES-style graphics resolution from 2000/03 and the Steam version fixes most bugs associated with Windows Vista/7/8/8.1/10 compatibility issues. This looks great! Good job, DJ_O! Looks very slick as always - those graphics are very psychedelic indeed! Thanks, and yeah that was the thing I was going for for this particular game. While I don't want to go full Touhou-mode I wanted something that's essentially a Ys<>Mega Man cross-over with F-Zero graphics. Wow! I really like your zelda's graphics style! Also this project is not dead, but on indefinite hold as I am at the hospital since last month and have no access to my old computer on which the most recent version of this game is located. I made new songs, though, and a version of the game is available for download as a demo at https://dj-omnimaga.itch.io/superstar-hero (save files might not necessarily work with future versions). -A long-standing bug causing the amount of gold obtained from kills to be incorrect most of the time is being fixed right now. Basically, under the old system, the amount of gold gained per kill was directly tied to the total amount of damage the enemy took before dying, rather than their max HP, resulting into an unintentional "bonus gold feature" that caused lots of problems when offensive items were used. -Some enemy gold amounts were adjusted after fixing the bug. -Also, all item shops are now called Cears (in reference to Sears). © Copyright 2000-2019 Cemetech & Christopher Mitchell :: Page Execution Time: 0.161372 seconds.